Have clean installation of AppiumStudio. Make sure you have deleted C:\Users\yourusername\AppData\Roaming\Appiumstudio folder. 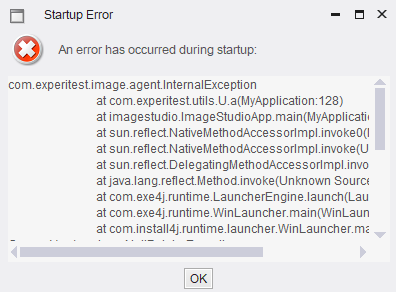 Restart your machine and install experitest appium studio again. Every 14 days i am getting the “Startup Error”. I followed the above steps and reinstalled Appium studio after clean uninstall. It worked fine for me. In case of any help needed call me at 888 588 5855. Free IT Tech Tutorials. Manual Testing, Appium, Blockchain Tutorial, Selenium Tutorial, NodeJS,Mobile Applications Testing, Interview Questions.